Argentina implemented ISPM15 on 1 January 2006. To view notification (in Spanish) (updated 21November 2005). Australia adopts ISPM15 bark tolerance for imports of wood packaging material wef 1 July 2010. Following the adoption of the revised version of the International Standards for Phytosanitary Measures Publication No. 15: Regulation of Wood Packaging Material in International Trade (ISPM 15) in April 2009, Biosecurity Services Group (BSG) undertook to review Australias requirement for bark freedom on solid wood packaging material. >From 1 July 2010 Australia will accept solid wood packaging material that is treated and marked as ISPM 15 compliant and meets the bark tolerance requirements defined in the revised ISPM 15 standard. This requires that solid wood packaging material be debarked, but allows a tolerance for small pieces of bark that have not been completely removed during milling. This tolerance for bark will also apply to solid wood packaging treated with other AQIS approved treatments. The bark free declaration is still required but the ISPM 15 tolerance limits apply. Any wood packaging and dunnage exceeding the ISPM 15 bark tolerance limit will be subject to treatment, export or destruction at the importers expense. Australia - UK exporters are advised that the Australian Quarantine requirements prohibit the entry of wood products infected with non indigenous bluestain. It should be noted that treatment in accordance with ISPM 15 specifications is not lethal to bluestain fungi, and in fact heat treatment in the absence of moisture reduction is likely to increase susceptibility to infection. Our advice, therefore, is to use only wood packaging material which, in addition to having been either heat treated or fumigated to ISPM 15 specifications, has additionally been kiln-dried to below 20% moisture content. This may be indicated by the mark 'KD' or 'kiln-dried' on the wood packaging unit (including dunnage), but it must not be included within the border of the ISPM 15 mark. As any timber, including kiln dried material, has a tendency absorb condensation during long voyages in a freight container, kiln drying does not guarantee that bluestain infection will not develop. Australia - has published Notice 30 Introduction of mandatory treatment requirements for all solid wood packaging and dunnage, effective 1 January 2006. From that date Australia has begun to phase in mandatory treatment requirements for all solid wood packaging and dunnage.Australia implemented ISPM15 in September 2004, but not in respect of WPM used in air cargo. From 1 January 2006, Australia will require all WPM and dunnage to be ISPM15 compliant and marked (to view WTO notification). In addition, all WPM and dunnage must be bark-free and, if fumigated, the exposure time must be 24hours, not 16 hours as in ISPM15 (under review). The UKWPMMP already requires that fumigation is carried out over 24 hours. (Updated 21 September 2005). During the phase in period, until 1 May 2006, there will be no changes to the quarantine clearance arrangements for containerised sea-freight packaging timber. The FCL/FCX and LCL Broker Accreditation Schemes will continue as normal. During this phase, however, AQIS will monitor compliance with the new treatment requirements for wood packaging associated with imported break-bulk and air cargo. Break bulk and air cargo consignments will be subject to surveillance by AQIS and stickers alerting importers to the new treatment requirements will be placed on cargo that does not bear ISPM15 treatment stamps. (Updated 22 February 2006). (AQIS) formally implemented ISPM15 alongside their existing regulations with effect from 1 September 2004. This action gives exporters a choice of treatment options to choose and is mainly for the benefit of countries that do not have ISPM15 compliant wood marking programmes in place yet. Details of the new rules are set out in AQIS Notice to Industry No 19 . (Last updated:17 August 2004). To view examples of AQIS supplier/packer declarations, (full container loads) (less than full container loads). (Last update 23 August 2004). The declarations can be completed by the Exporter as AQIS have confirmed that their reference to 'Suppliers' also eant 'Exporters'. Suppliers (i.e. the exporters) do not need to put UKWPMMP/ISPM 15 unique registration numbers on the packing declarations. the only number that is required is a numerical to link between the declaration and the container/shipment. The intention is for the supplier to fill out the declaration as they are the ones that AQIS will be targeting for increased surveillance/profiling if surveillance shows a problem. PQA0404 - Changed import requirements for packing made solely from reconstituted wood products (includes particleboard, chipboard, masonite, oriented strand board (OSB), medium and high density fibreboard). All of these PQA's can be viewed on AQIS's site. Please find the Industry Notice 61/2009 from the Australian Quarantine and Inspection Service (AQIS) relating to documentation requirements for the clearance of imported cargo. Note that Australia no longer requires a “Newly Manufactured Plywood Declaration” for plywood/veneer packaging material. This is with immediate effect. (Updated 13 November 2009). Import conditions for bulk imports of plywood are provided in the AQIS Import Conditions database ICON. Full details of the above guidance can be viewed in AQIS's Cargo Containers - Quarantine aspects and procedures manual which is updated on a regular basis. Brazil has confirmed that it will accept wood packaging material with the IPPC mark as the phytosanitary certification. To see correspondence from the Embassy of Brazil. Bulgaria will require wood packaging material and dunnage import, which includes all EU member States, to comply with ISPM15 from 1 June 2006 but as of 1 January 2007 when Bulgaria becomes a member of the European Community, WPM from other member States need not comply, as it will then be regarded as intra-Community movement. Canada - Starting September 16th 2005 Canada, the United States and Mexico will increase the enforcement of the ISPM 15 Standard on all Wood Packaging material entering their borders. In the past, non-compliant shipments were allowed in Canada, and notification letters from CFIA were sent to the NPPO officials (through Post) to advise them of the violations. This initial voluntary period will expire on Sept 15th, and Canada will begin stepping up its enforcement in three phases. Phase 1 September 16: Canada will refuse entry on shipments found to have infested wood packaging (during this preliminary period, only signs of infestation would prevent entry of shipments) with the exception of ship's dunnage. Ship's dunnage will be treated or disposed if non-compliant (i.e. with signs of living pests, or no ISPM15 mark, or no Phytosanitary Certificate). Phase 2 February 1, 2006: Canada will refuse entry for any wood packaging found to be non-compliant (i.e. with signs of living pests, or no ISPM15 mark, or no Phytosanitary Certificate) with the exception of ship's dunnage. Ship's dunnage will be treated or disposed if non-compliant. Phase 3 July 1, 2006: Canada will refuse entry on all wood packaging materials including ship's dunnage found to be non-compliant. Chile implemented ISPM 15 on 1 June 2005. To view their notification.Note: further details of the Chilean requirements will be posted later. China - officially implemented ISPM15 on 1st of January 2006 Notice 11 (see Clarification Note) and Notice 32. China continues to encourage exporters to use the 'Declaration of use of non wood packaging material'. See details here in the Phyto News. The Forestry Commission has decided to cease issuing phytosanitary Certificates for ISPM15 Wood material, from immediate effect. Please read information above. Costa Rica - implemented ISPM15 on 19 March 2006. To view notification (in Spanish). Cuba - has announced its intention to implement ISPM15 on 1st October 2008. To view notification. Dominican Republic - implemented ISPM15 on 1 July 2006. To view notification (in Spanish). Ecuador - has implemented of ISPM15 with effect from 1 July 2006. See details of Resolution (in Spanish). Egypt - implemented ISPM15 on 1 October 2005. To view WTO notification. EU - From 1 March 2005 new landing requirements apply for wood, wood products and wooden packaging material arriving in the European Community from all countries, except Switzerland. The landing requirement does not apply to wood, wood products and wooden packaging material which is simply moving from one EU member State to another. Additionally there is no phytosanitary certificate requirement for wooden packaging material arriving in the EC , which is ISPM15 compliant as the certification is provided via the ISPM15 wood mark. Emergency measures: In the meantime the emergency measures covering WPM from Canada, China, Japan and the USA will remain in place, pending review. This means coniferous WPM from these countries must be heat treated, chemically pressure impregnated or Methyl bromide fumigated and marked (and from China, only, be accompanied by a phytosanitary certificate). In addition, non-coniferous WPM from China must be EITHER bark-free and free of insect bore holes > 3 mm across OR kiln-dried. This information is correct at the time of publication and will be updated as required. (Updated 3rd March 2005). Controls apply to the export from Portugal of conifer wood products, including logs, sawn wood, chips, bark and wood packaging material such as boxes, crates pallets and the like which originated there. These are set out in Commission Decision 2006/133/EC and its various amendments (link http://eur-lex.europa.eu/LexUriServ/LexUriServ.do?uri=OJ:L:2006:052:0034:0038:EN:PDF ). Wood Packaging Material (WPM) manufactured in Portugal from conifer wood has had to meet the requirements of ISPM 15, the international phytosanitary standard covering WPM which demands that it be treated (or fumigated with Methyl bromide) and stamped with the ISPM 15 mark which shows the country of production, a unique producer code and the code for the treatment used i.e. "HT" or "MB". Despite these measures, many Member States have reported detecting PWN in WPM arriving from Portugal, sometimes on unmarked WPM so it has not been possible to tell where it was made, and in order to avoid the possibility that untreated Portuguese WPM 'slips thorough the net' the rules have been further amended. From 16 June 2009 all WPM made from conifer wood exported from Portugal will need to meet ISPM 15 requirements. This includes WPM made from conifer wood imported into Portugal from the other Member States and then re-used for subsequent exports. Although there is no legal obligation to use ISPM15 compliant WPM for goods shipped into Portugal from any other Member State, we strongly advise exporters in the UK to consider using treated and ISPM 15 marked WPM, regardless of wood type, wherever possible so as to ensure that there are no delays in delivering goods. This will be particularly important where the consignor expects to have the WPM returned, either empty or used to carry other goods. Many importers in Portugal are expected to demand the use of ISPM 15 WPM by their suppliers, so as to avoid the need to otherwise dispose of and replace WPM for subsequent use. The Portuguese authorities have confirmed that they do not have sufficient heat treatment capacity to deal with untreated imported WPM, and destruction appears to be the only alternative. Our advice covers all WPM regardless of wood type because of the difficulty in determining wood species, especially where more than one species is used in the manufacture of WPM. In cases of doubt, we can expect at least a delay in shipping while checks are carried out. This may well lead to increased costs. Under the new procedures, all Member States will now be required to carry out routine checks on wood and wood packaging material imported into their country from Portugal. These checks can be carried out at any place where the material may be present and not necessarily confined to the point of entry (port or airport). The Forestry Commission plans to continue with spot checks on some goods as they arrive, where practicable, and will also be visiting importers to check on WPM used to ship goods from Portugal. We already carry out spot checks on wood shipped from Portugal. We do not, however, plan to place unnecessary burdens on business and will not, for example, be imposing inspection fees as we do for imports from non-EU countries. In the event that non-compliant wood or WPM is found, the occupier of the premises or the person in charge of the material will, however, be responsible for any remedial action deemed necessary. Those placing orders with Portuguese suppliers are strongly advised to make it a contractual requirement that only ISPM 15 compliant WPM is used and binding suppliers to meet any costs arising out of a failure to do so. The European Commission has also indicated that it plans to propose extending the use of ISPM15 to regulate WPM used in all intra-Community trade. This is subject to negotiations with the wood packaging industry which currently does not have sufficient treatment capacity across the EU to meet such a demand. Guatemala - implemented ISPM15 on 25 January 2005. To view WTO notification. Note Details of the Guatemalan requirements will be provided as soon as they are published. Guyana - The relevant authority has advised that it has implemented ISPM15. Unfortunately we are unable to publish any official document as the notification was made by email to the Forestry Commission. Honduras - implemented ISPM15 on 25 February. To view WTO notification. India - implemented ISPM15 on 1st November 2004 and has published details of its landing requirements. Material with a plant origin used for packaging must either be heat treated or fumigated. Click here to see details as published by Ministry of Agriculture in India. Click here to see subsequent amendment (Updated 31 May 2004). Click here for Ministry of Agriculture, Plant Quarantine Organisation of India. Indonesia - implemented ISPM No 15 in September 2009. To view details of the original notification dated 29 May 2006 and addendum of April 2009 confirming the date of implementation and other details (including contact details for queries). To view updated notification dated 5 March 2010. The new Israeli Import Regulation incorporate the equirement for ISPM 15. The regulation will come into force on 25.6.09 but the implementation of the requirement of ISPM was postponed to 1/10/09. Japan - has announced that it will implement ISPM15 on 1 April 2007. To view the WTO notification. To view details in MAFF Notification No. 1352. Further information can be viewed on Japan's website. Jordan - has announced that it implemented ISPM15 on 17 November 2005. To view the WTO notification. (Updated 19 January 2006). Lebanon - The Head of Agriculture Import,Export Department Lebanese Ministry of Agriculture has advised that the Lebanese Ministerial Decree No. 19/1 dated 9/1/06 requires all wood packaging material entering the Lebanon to be ISPM15 compliant wef 9th March 2006. Mexico - implemented ISPM15 on 16 September 2005. The new requirements (in Spanish) come into force on 16 September 2005 in line with the USA and Canada. New Zealand - implemented ISPM15 on 16 April 2006. It has however recently consulted on changes to the Import Health Standard Wood Packaging Materials from All Countries. We have been advised that the new standard will come into effect on 1 May 2006. Nicaragua - notice of intent to implement ISPM15 (in Spanish) - actual date to be determined. Nigeria - (Update 8th October 2004)- we have received an up date to Mrs Oraka’s, Nigeria Plant Quarantine Service, letter dated 16 August, which now states that Nigeria does NOT require a phytosanitary certificate if the mark on the body of the packaging materials indicates that it has been treated as stated in ISPM15; to view update. We apologise for the quality of this letter. 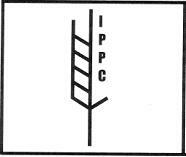 'All wood packaging and dunnage must be marked with IPPC logo and be accompanied with certificate of treatment. In the absence of IPPC logo and certificate of treatment it must then be accompanied with phytosanitary certificate issued by Plant Protection Organisation of exporting country’. We have requested details of the information to be included in the treatment certificate ie will a fumigation certificate or Certificate of Conformity suffice and as soon as we receive a response from the Nigeria Plant Quarantine Service we will publish it on our website. Please therefore continue to monitor this website. Even though Nigeria have not submitted a WTO Notification advising of their intent to implement ISPM15 we would recommend that exporters comply with the requirements of the attached announced to ensure that their goods are not delayed or intercepted by the Nigerian Authorities. We have advised the EC of the details of this announcement and requested that Nigeria submit a WTO Notification immediately and we will report on the outcome of this action. Please continue to monitor this website for updates. Norway - will implement ISPM15 on 1 January 2009. Oman - has announced its intention to implement ISPM15 in December 2006. To view WTO notification. Paraguay - has announced that it implemented ISPM15 on 28 June 2005. To view WTO notification (in Spanish). (Last updated 24 November 2005). Peru - has announced that it will implement ISPM15 with effect from 1 September 2005. To view WTO notification ( in English). To view the text of the regulation (in Spanish). (Last update 14 April 2005). Phillipines - announced in June that they had implemented ISPM15 but a further announcement (20 July 2004) notifies that they will now partially implement ISPM15 on 1 January 2005 (treated but without the need for marking) with full implementation on 1 June 2005. After that date they will require all wood packaging material entering their territory should be treated and marked in accordance with ISPM15. Further details and information may be obtained through (epad.polreser@eudoramail.com) Last update: (17 August 2004). Republic of Korea - implemented ISPM15 on 1 June 2005. Republic of Korea has notified throught the WTO that it will only accept WPM from certain countries if it has been fumigated for 24 hours. This has no direct impact on exports from the UK using packaging manufactured here. Apart from not having Pine Wood Nematode present, fumigations under the UK Wood Packaging Material Marking Programme must be over a 24 hour period. (last updated 11 May 2005). Russia - at a recent meeting (November 2009) the Russian authorities have advised us that the new rules that went into effect on July 15, 2009 have been withdrawn and that we are attempting to get the situation clarified. Our advice to exporters of all goods to Russia is that to avoid any complications they ensure that all wood packaging material used is treated and marked in accordance with ISPM No. 15. (Updated 30 November 2009). Seychelles - Implements ISPM15 on 1st March 2006 - see details. South Africa - has confirmed that it will implement ISPM15 on 1 January 2005. (Updated 22 December 2004). Non ISPM15 compliant material will be accepted until 1 March 2005 provided that such material is bark free and does not present a plant health risk. Sri Lanka - has announced that it will implement ISPM15 on 8 March 2010. To view WTO notification. To view the text of the draft regulations. (Updated 20 October 2009). Switzerland - An ‘agreement of equivalence’ has been reached between the EU and the Swiss. Wood packaging emanating from this market can be regarded in the same way as that from any EU member state. Syria - The relevant authority has advised that it has implemented ISPM15. Unfortunately we are unable to publish any official document as the notification was made by email to the Forestry Commission. Taiwan, Penghu, Kinmen and Matsu - notification has confirmed that it will implement ISPM15 on 1st November 2005. Ukraine - has implemented ISPM15 as an import requirement, with the addition of debarking and confirm that all WPM produced under the UKWPMMP meets their requirements; to see notification. APHIS in cooperation with CBP will begin enforcing phase two of the wood packaging material (WPM ) regulation beginning Feb. 1. During the phase, APHIS and CBP will require that all commodity imports entering or transiting the United States with WPM consisting of pallets and crates be either heat treated or fumigated with methyl bromide. The shipments must also be marked with an approved international logo, certifying that the WPM has been appropriately treated. WPM that does not meet these requirements will not be allowed to enter into the United States and will be re-exported. Shipments containing WPM that violate the rule may be allowed entry only if the CBP port director determines that it is possible to separate the approved material from the noncompliant portion of the shipment. Arrangements to have the noncompliant WPM exported from the United States would be required before the approved cargo can be released to the consignee. All costs associated with this process are the responsibility of the importer. This phase of enforcement will continue through July 4. Full enforcement of the WPM regulation will begin July 5. At that time, all WPM must meet the import requirements and be free of timber pests before entering or transiting through the United States. To view all current WTO notifications made under the Sanitary and Phytosanitary Agreement. Near the bottom of the page you will find a search link by country which leads you to an index of notifications with further links.